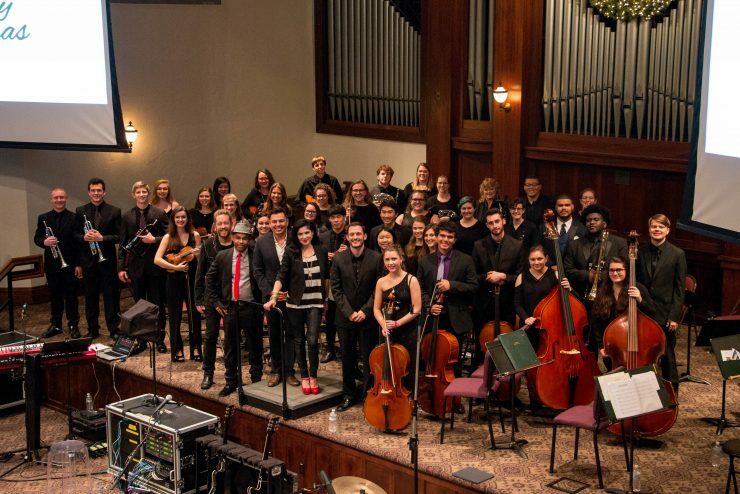 WILMORE, Ky. — Orchestral notes blended with vocals from Grammy-nominated singer Jaci Velasquez to the tune of “I’ll Be Home for Christmas” as a crowd of students, alumni and friends sang along Friday night in Asbury University’s Hughes Auditorium. View a photo gallery below! 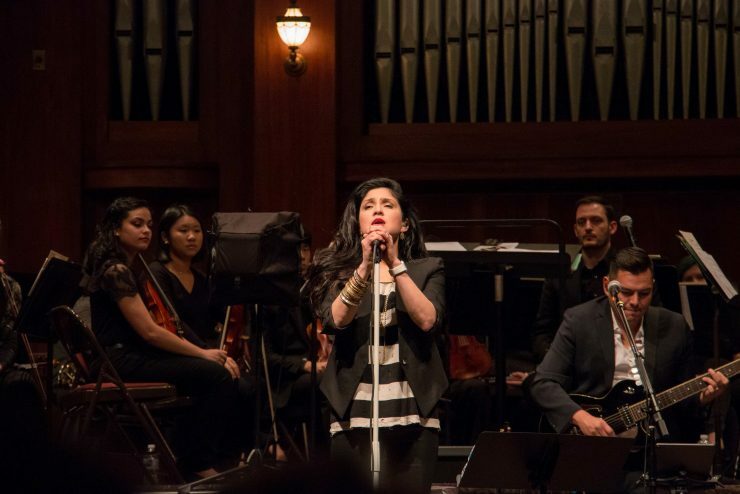 For several years, the University has offered a Christmas gift to the community featuring performances from critically acclaimed artists. 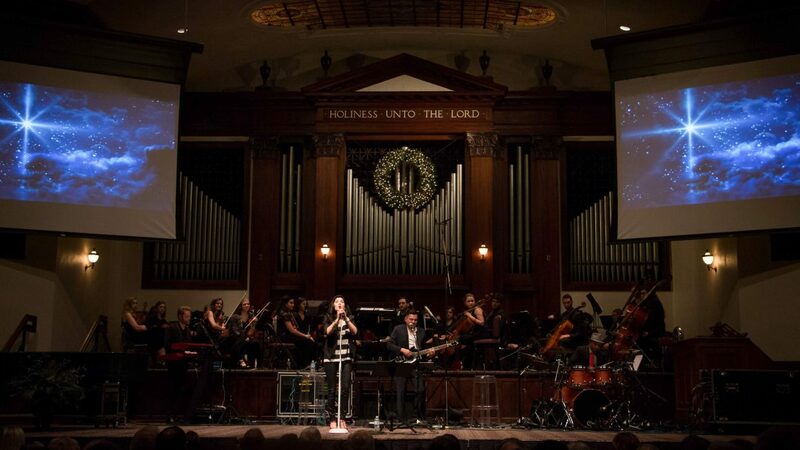 This year, Velasquez performed Christmas and worship songs during an evening concert on Nov. 30. 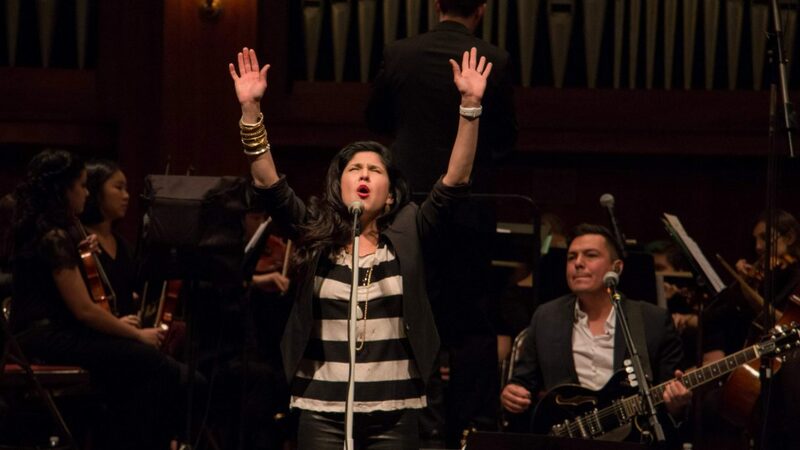 Velasquez was accompanied by the Asbury University Orchestra and a small backing band which included her husband and fellow singer Nic Gonzalez, who is part of the Christian band Salvador. 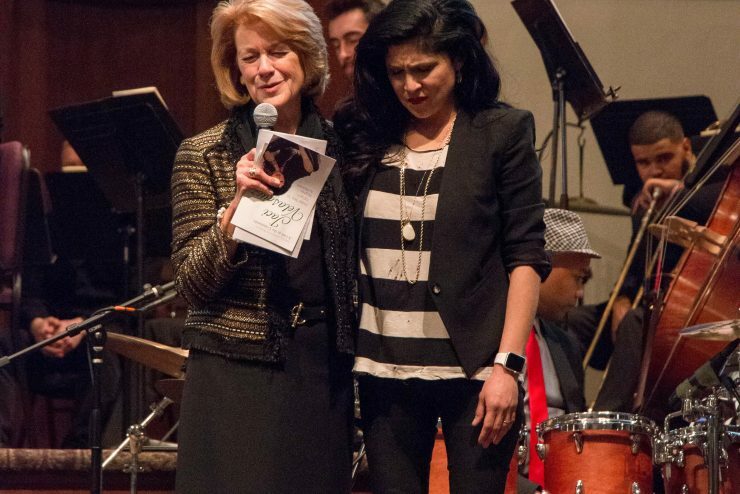 The singer dedicated “Have Yourself a Merry Little Christmas” to Asbury President Dr. Sandra C. Gray as a nod to Dr. Gray’s last Christmas as University president. 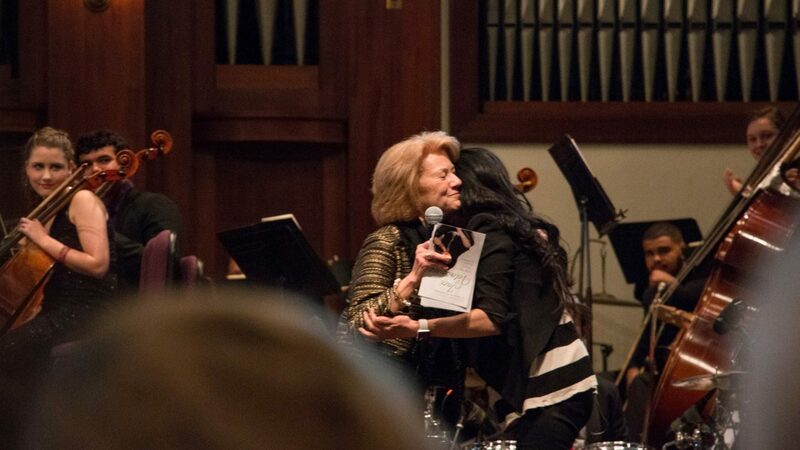 Windsor Manor was aglow with familial chatter as alumni, friends, students and community members reconnected, embraced and laughed during the President’s Reception held prior to the Christmas-themed concert. 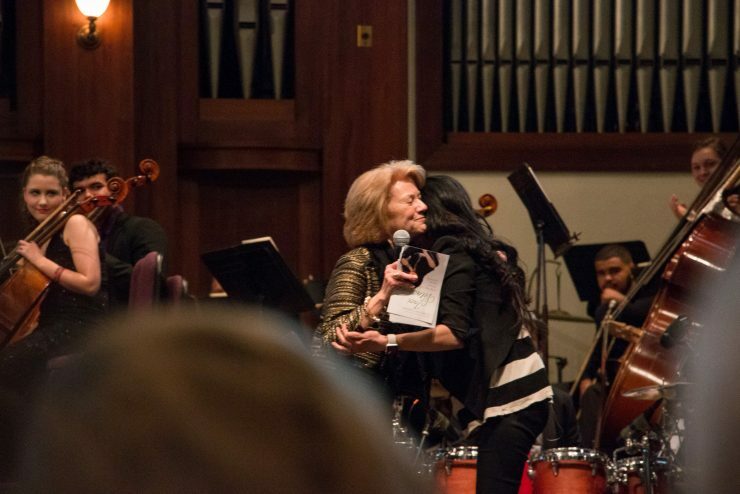 The show marked Velasquez’s first visit to Asbury’s campus and she thoroughly enjoyed meeting students and faculty during her time at the University. 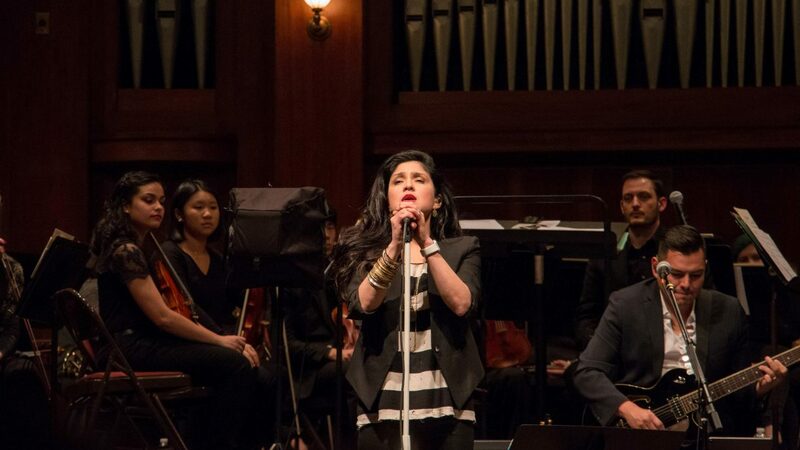 Hossana Miranda ’17, who, during her time as a student, was an elementary education major hailing from Bolivia, was excited to be back on campus to reconnect with friends and to hear Velasquez’s songs live, many of which she grew up listening to. Vanguard class member Al Peach ’66 was elated to be back on campus, mingling with fellow Asburians and wanted to spread some Christmas cheer as he attended the concert donning a bright green suit with a one-of-a-kind candy cane pattern. 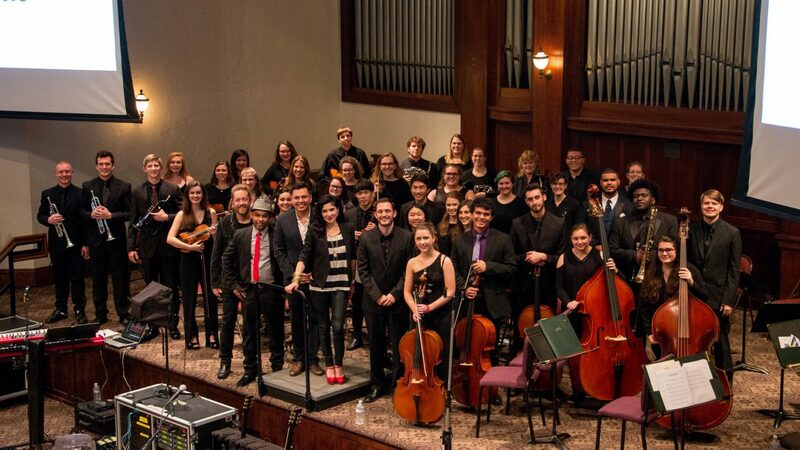 This is just one of many music events hosted by Asbury throughout the academic year. 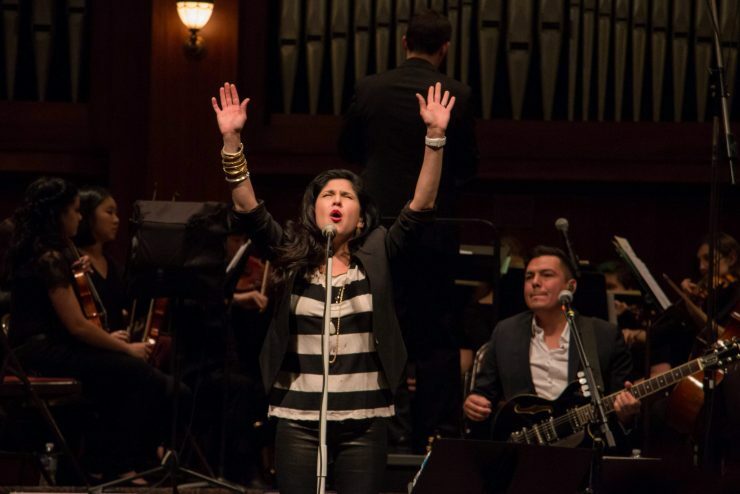 Check out upcoming shows on the schedule. 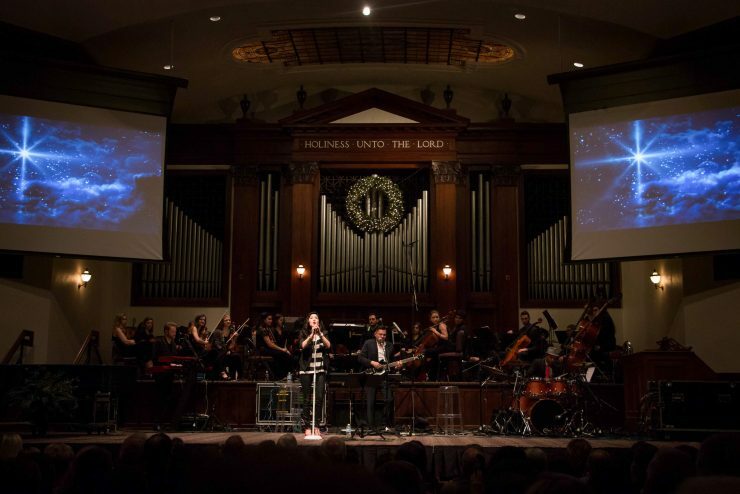 Learn more about Christmas at Asbury University.